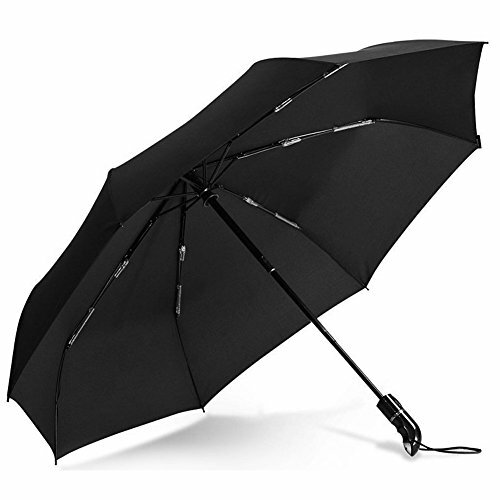 We use high quality stainless steel for the tips and ribs, which provide strength and flexibility whilst still weighing 0.78 pounds. 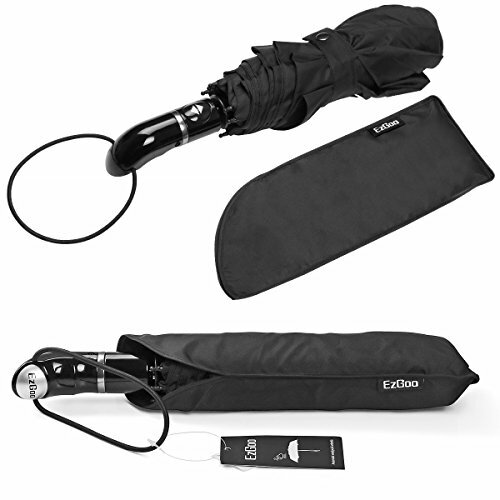 EzGoo windproof auto umbrella, to keep you well protected in the rains ,wind and storm, makes your life easier and comfortable. 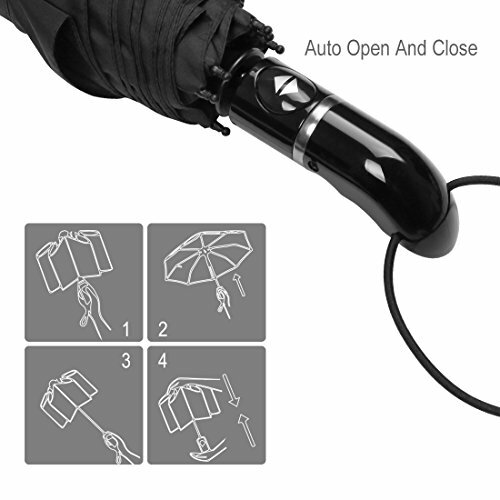 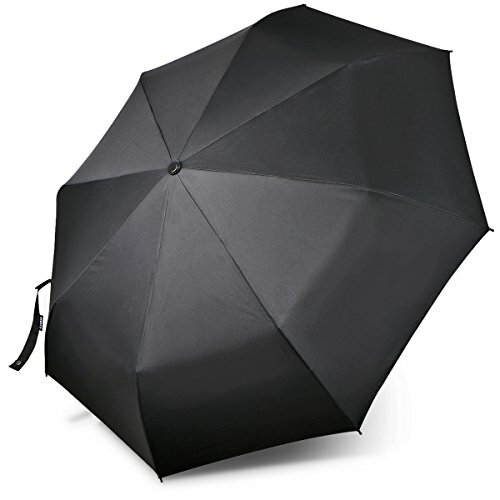 Open the umbrella automatically within seconds and give you full protection against rain. 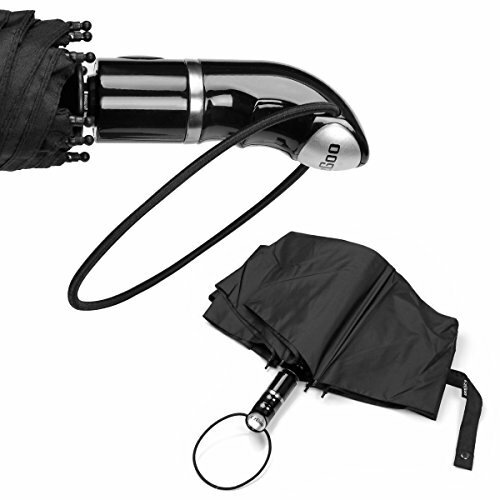 This travel umbrella is only 13inch long when you fold it up. 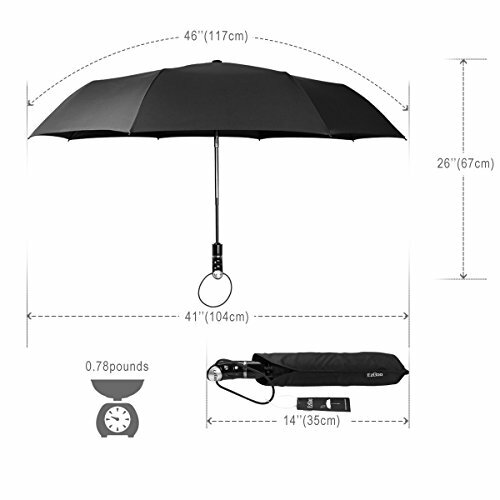 It is also designed for portability, weighing 0.78 pounds. 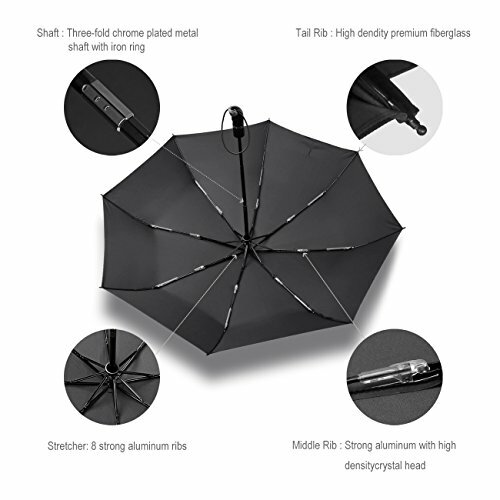 In order to ensure its ability to resist to strong wind and heavy rain, we use 8 stainless steel ribs (compared with 6 ), so it can stand up to stronger winds and extreme weather. 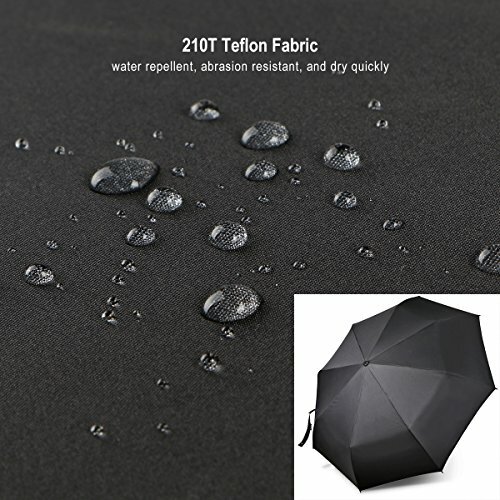 Superior Waterproof: Outstanding Protection for outdoor weather or storm, EzGoo Travel Umbrella with a more durable 210T Teflon fabric (compared to the usual 190T) and water repellent, abrasion resistant, mold and mildew resistant.